Posted on September 13, 2017 at 4:28 pm. From today onwards, the online casino landscape in Australia has significantly altered. The Interactive Gambling Amendment Act is now in full legal effect, prohibiting offshore online casino operators from advertising and offering their “interactive gambling services to Australians unless the person holds a licence under the law of an Australian state or territory”. The concrete deadline of September 13 prompted a last minute mass exodus of overseas online casino sites, with several popular brands like Royal Vegas and Slots Million remaining until the very last minute before notifying all players they were withdrawing from the market. While many of these “dangerous” offshore casino sites are fully licensed and regulated in world-class jurisdictions such as Malta and the United Kingdom, they cannot currently get a license to operate in Australia due to the lack of a government body currently established to issue such licenses – leaving Australians out in the cold until they do so. The fight for online poker is not over yet though, with the Australian government reportedly in early talks to exempt it from the new amendments and regulate the online poker industry – but our favourite online casinos aren’t so lucky. Despite the major gambling reforms rocking the country, the fact remains only the online operator is penalised by the amendments, not the player – several offshore online casinos have recognised this and will continue to service the Australian market for the foreseeable future. 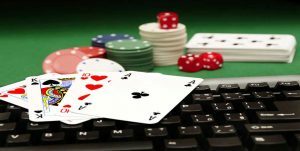 Which online casinos are still accepting Australian players? Ignition Casino and Poker is one such offshore gambling operator which has already become popular with displaced Aussie punters, offering high-quality online poker rooms once run by the reputable Bovada brand in the US, as well as casino gaming software from Bodog Custom, Real Time Gaming and Rival Gaming. Mucho Vegas looks best set to fill the void left by the other big online casino brand names, hosting over 600 pokies games and table games from BetSoft, iSoftBet and Pragmatic Play. Some software developers on the site have opted to geo-block their games to Australians like Microgaming, but the site has plenty more games on-hand to adequately compensate. House of Jack Casino is another new upstart designed specifically with Australian players in mind. Licensed and regulated in Curacao, it offers over 600 online pokies from multiple software studios such as BetSoft and Spigo to AUD customers, with the promise of live dealer on the way. Established sites Mongoose Casino and Raging Bull Casino round out the small list of trustworthy available offshore casino sites still servicing Australians post-IGA, the former hosting over 800 real money casino games from BetSoft and the latter over 200 games from Real Time Gaming. We cannot stress to Australians enough the importance of doing your research before (and if) you choose to continue to gamble at offshore casino sites in the wake of the new legislation. While the Interactive Gaming Act’s intention was to “protect” Australian residents from “unsafe” online casinos, the bill has inadvertently pushed out most of the world’s trusted online casino operators away from the Aussie market while simultaneously emboldening scam operators who are trying to take advantage of confused Aussie punters – ironically, the very thing the government wants to prevent. The offshore casinos we have listed above and recommend across the OnlineCasinoSite domain are audited, regulated and licensed in trusted gaming jurisdictions such as Curacao and remain adherent to fair and responsible gaming practices – these are the sites Aussies will want to play at to continue playing real money games online safely. The editorial team at OnlineCasinoSite have extensively tested and reviewed each site (which you can access in the links below, along with exclusive sign-up bonuses) in preparation for the reforms, so we can give our verdict to Aussie readers and keep all players well-informed of their best options. While only a small group of sites still available for Australians, we will continue to update Aussies with upcoming options and guides on how to keep safe while playing the pokies or table games online in a post-IGA world – so keep our site bookmarked for regular updates.